Sachin Tendulkar "the god of cricket.no one can replace him.He is the best in all formats not only in ODI'S in test formart in T20's to he has show his performance better than all others. He is the manager, director and producer of Cricker.No doubt about it. 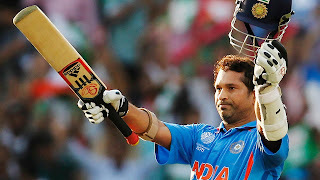 He is top run scorer in both test's and odi's.Sachin is a greatest batsman in the world.He has all the records that every cricketer dreams of.He is called the Master of Cricket or rather say the "God Of Cricket". Starting his career in the age of 16, he became the youngest player to debut for India in Tests at the age of 16 years and 205 days. Sachin Tendulkar is the Inspairing person to everyone.He is legend indian crickter.He is the top indian cricketer.He is number 1 cricketer in indian team.Sachin the Legend for Indian Cricket team.He is the only player to have scored one hundred international centuries, the first batsman to score a double century in a One Day International, the only player to complete more than 30,000 runs in international cricket. In 2002, Wisden Cricketers' Almanack ranked him the second greatest Test batsman of all time, behind Don Bradman, and the second greatest ODI batsman of all time, behind Viv Richards.He has won many awards in his cricketing career. These include Arjuna Award, Rajiv Gandhi Khel Ratna, Padma Shri and the Padma Vibhushan Award. Moreover he is the youngest recipient to date and the first ever sportsperson to receive the Bharat Ratna Award, India's highest civilian award. Mahendra Singh Dhoni is an Indian cricketer who captained Indian team in limited overs. Dhoni he is not only captain he is a keeper and batsman.In his captancy India got world cup in 2015.Mahendra singh Dhoni he leands Indian team in very different way & in very cool way. Dhoni got a mister cool as nick name. After Sachin Tendulkar Dhoni is next best Cricketer in Indian team.He is the 2nd legend in Indian cricketers.Dhoni can call as mister cool.He is a Best finisher.Up on his captancy Indian got icc champions world cup 2015 & icc champions trophy & T20 world cup.So dhoni is the best finisher and Best captain for team India. Sourav Chandidas Ganguly, affectionately known as Dada is a former Indian cricketer and captain of the Indian cricket team. He made best part of runs with Sachin Tendulkar.Currently, he is a Best cricket commentator and President of the Editorial Board with Wisden India. 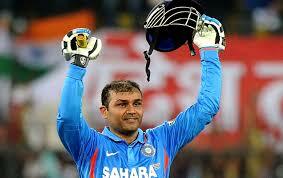 He is regarded as one of India's most successful captains in modern times. He started his career by playing in state and school teams. Currently, he is the 5th highest run scorer in One Day Internationals (ODIs) and was the 3rd person in history to cross the 10,000 run landmark, after Sachin Tendulkar and Inzamam Ul Haq. In 2002, the Wisden Cricketers' Almanack ranked him the sixth greatest ODI batsman of all time, next to Viv Richards, Sachin Tendulkar, Brian Lara, Dean Jones and Michael Bevan. Ganguly was awarded the Padma Shri in 2004, one of India's highest civilian awards. Saurav Ganguly can also called as DADA. Ganguly is one legend in Indian crickters. Saurav is the best crickter and he is 3rd legend in Indian cricket team. 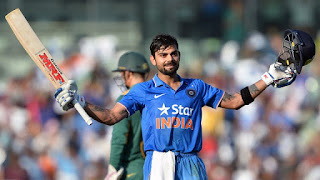 Virat Kohli he is an under 18 captain under his captancy India got under 18 world cup.He is an awesome player nobody can beat him.He is the only batsman to score 5 centuries in a row.He is the fastest to hit 13 hundreds.He scored 1000 runs the fastest.He is the next Sachin tendulkar.Cricketer of year 2012.He is awesome.He is our future star and captain.Next tendulkar.It's the best player in the world.Has a Good Captaincy.2 and Batsman to score highest centuries 31.18 less from sachin and will overcome it very fast.Fastest 100 by any Indian.By looking of day to day performance Virat Kohli is calling as Run machine. 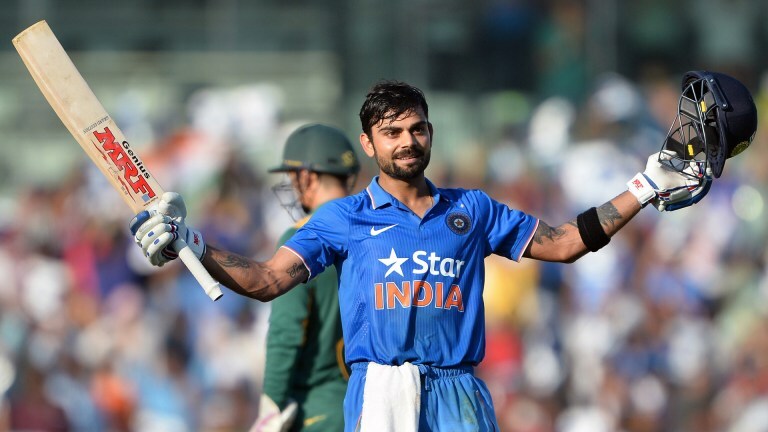 Virat is one of the legend crickters in Indian Team.In top 10 Legends his position is 4th. He can break all records in cricket. He is the best cricketer in all formats. Now he is an Captain for Indian Cricket team. Top allrounder. He was the captain of world cup winning team in 1983. He is the best keeper in the world. No one can take his place.Greatest all rounder for everer. 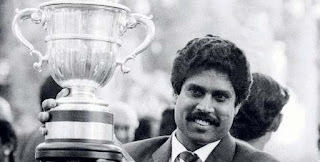 Kapil Dev Ramlal Nikhanj, better known as kapil dev, is a former Indian cricketer,often considered oneof the greatest crickters of all time. Under captancy india got world cup in 1983. Rahul Dravid well known crickter for Indian Team.He has played wonderfull games not only in Test format he has played in Odi's as well as in T20's to.Doing many impossible games possible. Very good player test match. Much better than tendulkar who always scores below 10 in do ordie games.He is also called as wall of cricket.Dravid is a fast super player more then machine tendulkar.In his career he has won more and more credits.Rahul Dravid is only having more stability to play in Test format for 5days.In Indian cricket team he is the 6th Legend cricketers. 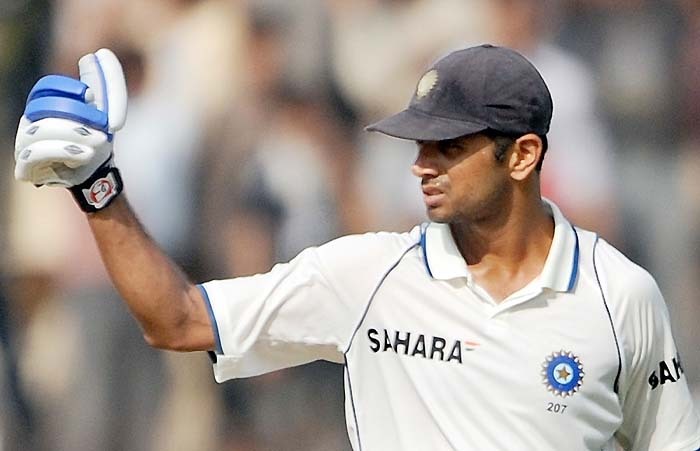 Rahul Dravid is the Best crickter.Now he is the Couach. First player scored 10000 runs in test cricket.I think we should change the title to "Favourite Indian Cricket Player", too much bias for my liking.Some of these players are good but they aren't that good. Did they have the face one of the best bowling line-ups? (West Indies) No they didn't. Vote for the best, not your favourite player.The top 5 should be Tendulkar, Gavaskar, Dev, Dravid, Kumble, once that's done then you can work out the appropriate order.He is the good test cricket players.Sunil Gavaskar is the best performer in Indian Cricket team. 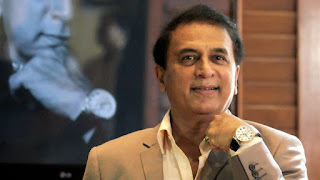 Sunil Gavaskar is also a legend cricketer in Indian team. He is the 7th Best Cricketer in Indian team. Yuvi is the best player in the world because of his batting and he is the star of Indian team. I think he is the best cricket player in the world. He is the best Sixer King. My favourite player in all world.Yuvi has a great record that he had made continue 6 sixes in 6 balls.In Indian team yuvi only done this record no one can has done it.In 2015 World cup yuvraj singh was given his best performance.Due to his performance India got 2015 world cup. yuvraj singh not only a bat man he can bowl has well as like bowlers.So for this reasons yuvraj is the best cricketer in Indian team.Yuvraj is a legend of Indian cricket team. Virendra Sehwag well known person in cricket history because he is the person who can beat 1st ball six and 4.There is no variation of formats to sehwag because he plays the same role in Odi's in Tests in T'20s.He is having strong personality so that' why only he has breaken one of Sachin Tendulkars record.He is the blistering opener in the world. He is the highest run scorer in odi of 219.When he stands on the pitch awaiting the delivery, everybody has their heart skipping beats.Virendra sehwag has the highest runs in the Indian cricket team no ne can beat him. Should be no 1. Sehwag ist he best opener for Indian team is virendra sehwag.He can bat he can bowl.Sehwag Legend for Indian Cricket team.He has place in top 10 legends. 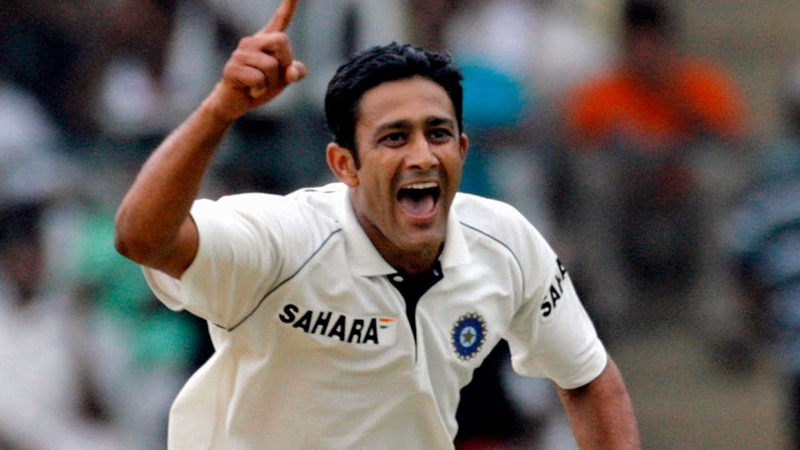 Best spinner in cricket history a consistent performer nobody won more test matches or India than him.Top wicket taker of India.Definitely a greatest spin bowler and most under rated player.Only player in India to take all ten wickets in an inning.It is the best spinner ever.Anil Kumble has one best record that in test format he has taken 11 Wickets in 2 innings. He is the best spinner in Indian crickete team.Anil Kumble not a best spinner in Indian he is the best spinner in world cricket.Anil Kumble one of the cricketer in Indian team. He placed in 10th position in legends of indian team.